Pattern includes 3 diaper shirt versions: boys straight sleeve, girls smocked sleeve & girls bias bound sleeve. 2 shadow embroidery designs to embellish them are included. The unique baby bubble can be worn alone or under the diaper shirt or apron. 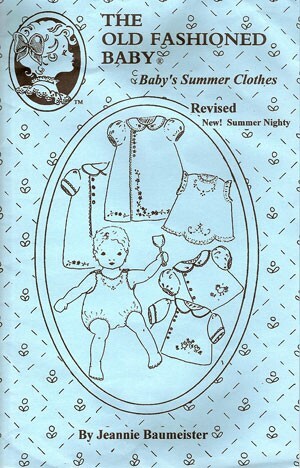 Summer Nighty has boy and girl sleeves & features an antique embroidery design.